Global Green and Healthy Hospitals (GGHH) is challenging its robust network to commit to reducing their environmental footprint via a new initiative: the Green Health Challenges. The Green Health Challenges initially focus on two of the ten GGHH Sustainability Goals: Waste and Energy. 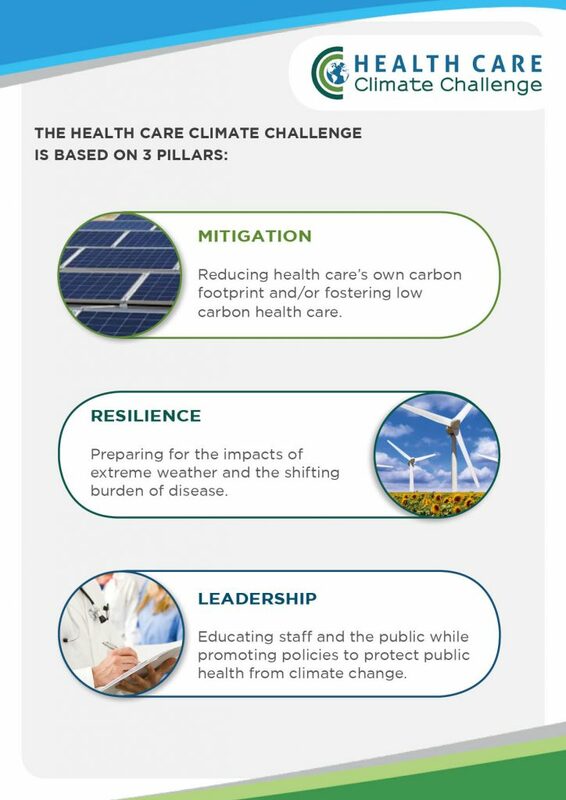 They also include GGHH’s, Health Care Climate Challenge. The Green Health Challenges are a data-driven initiative, designed to help healthcare organizations commit to sustainability goals and track their own environmental projects and efforts. Each Challenge contains a series of targets, indicators and focus areas that provide a pathway for individual members, and for the GGHH network as a whole, to measurably reduce their footprint. We have designed the Green Health Challenges with a multi-tier structure that allows members to pick and choose goals according to their specific capabilities and resources. This design aims to make the Challenges accessible to GGHH members of all sizes and levels of sustainability experience. As members achieve progress and reach Green Health Challenge milestones, they will receive public recognition through the international Green Health Awards. The focus areas of each challenge align with the challenges of the Healthier Hospitals program in the United States, which have hundreds of hospital and health system participants. Healthier Hospitals is a program of Practice Greenhealth (GGHH’s implementation arm in the U.S.). Every member can play a leadership role by engaging in the Green Health Challenges. Collectively members’ participation sends a powerful message to hospitals and health systems everywhere that we can achieve environmentally sustainable health care. To see the full list of participants of the Waste and Energy Challenges, click here. To visit the list of participants of the Health Care Climate Challenge, click here.